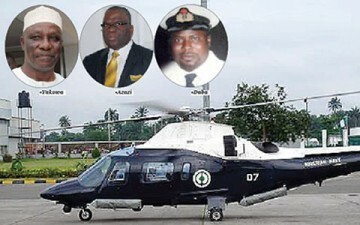 The tragic deaths of Governor Patrick Yakowa, General Owoye Azazi, airline pilot Commander Murtala Muhammad Daba, Yakowa’s aide Mr Dauda Tsoho, Azazi’s aide Warrant Officer Mohammed Kamal, and Lieutenant Olukayode Sowola in an air crash—and the reactions that followed these deaths—triggered many sober thoughts in me. The tragedy, once again, has caused the tensions, mutual suspicions, distrust, and bigotry that underline our relationship to bubble to the surface. Many people have written thoughtful articles about the sheer inhumanity of people who celebrated the death of the late Governor Yakowa because his death would make way for someone who shares their ethnicity and religion to become governor. 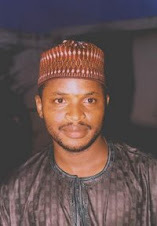 There were disturbing reports that some people in Kaduna openly rejoiced upon hearing that the late Yakowa had died. I personally read many Facebook posts celebrating the emergence of a Muslim governor and taunting the Christian Association of Nigeria (CAN) for its loss—as if it was CAN that appointed Yakowa as governor. It’s hard not to lose faith in humanity itself when you read things like that. It beats me why anyone would take delight in the death of another when death is a fate everyone would experience someday. Most of the people who expressed joy at Yakowa’s death won’t be better off under Governor Ramalan Yero than they were under Governor Yakowa. In other words, the crassly bigoted people who started this meme think the plane crashed because it was piloted by a Hausa man. Had it been piloted by someone who comes from the “right” ethnic group, these people seem to suggest, it would not have crashed. How utterly bigoted! This may seem like making a mountain out of a molehill. But these kinds of ignorant and callous sentiments, even if they were expressed by fringe elements in the society, remind me of a larger malaise that afflicts us as a nation: the ice-cold disdain with which we hold each other and the jaded stereotypes we habitually fit each other in. If a white person had said of a black person what these callous bigots said about the late Daba, he would be called an irredeemable racist. Now, what do you call a black person who thinks another black person is intellectually inferior to him on account of ethnicity, region of birth and/or religion? “Chauvinist” doesn’t capture it. No existing word in the English language does. But it does rankle and works to desensitize one of instances of anti-black racism in the West when people who look like you say utterly demeaning things to their kind on account of ethnicity and or religion. My experience shows that white people are actually kinder and more considerate to us than we are to each other. It is elementary knowledge that incidental human characteristics like race, ethnicity, religion, social class, geographic location, etc. are not predictors of intelligence or aptitude. Unfortunately, we have naturalized a narrative in Nigeria that constructs Nigerians of northern extraction as intellectually inferior to their counterparts in the south. Historical disadvantage in the acquisition of western education—or, in some cases, lack of enthusiasm for western education—is confused with cognitive incapacity. In any case, a look at the identities of pilots who had had the misfortune to be involved in plane crashes in Nigeria shows that the ethnicity of the pilots is not an insurance against air mishaps. Heck, even the white people who invented planes have air accidents, too. I would have dismissed the unkind comments on the late pilot had the comments not been part of a larger, sadly familiar pattern. A friend of mine who teaches at a US university and who was my schoolmate at Bayero University in Kano shared a story with me a while ago that neatly fits this narrative. An old white American professor told him American universities didn’t extend fellowship opportunities to northern Nigerian university academics for years because the Nigerians they related with in the early days told them English wasn’t the language of instruction at northern Nigerian universities and that the education in northern universities was inferior. After having had many students from northern universities who did very well in graduate studies, he told my friend they now knew that they had been duped for decades. Just three weeks ago, another friend of mine told me how he overheard a Nigerian professor here in the US spurn a suggestion to include some northern universities in a collaborative research project between US universities and Nigerian universities. He said, over the phone, in a local Nigerian language he didn’t think my friend understood, that it would be a bad idea to include northern universities in the project because their language of instruction is Arabic and Hausa. It turns out that this professor is a faithful follower of my grammar column and never fails to tell me how much he learns from reading me. Yet he thinks the language of instruction in my university is Arabic and Hausa. Prejudice, they say, distorts what it sees, deceives when it talks, and destroys when it acts. To be sure, it is not only southern Nigerians that harbor terrible prejudices about their northern compatriots. Northerners, too, have been fed on a staple of prejudices about their southern brothers and sisters. It is the tragedy of our nation. But we can’t make progress if we are still wedded to wildly retrograde and unfounded notions of each other. Farooq: Very well-put. Thoughtful and cogent. May your words of wisdom be implanted in the minds of our compatriots. Thanks. Happy New Year. Folu. There is no way of putting it right than this. I recall with nostalgia during my NYSC days when the head-girl asks how comes I speak English "fluently" being a Hausa and a Muslim.